Why and What is Kanban. Lean Manufacturing PDF Lean Manufacturing PDF Kanban System explained in this multimedial guide. Here you will see how to implement a Kanban System. Read now. In this article you will learn the basics of the Kanban System. This is the best multimedia guide you can find on this Lean Tool. Why use the KANBAN Lean Tool. So literally speaking, it means "Visual Signal". Kanban is an intermediate tool prior to arrive to the "One Piece Flow". It is strongly suggested to use the Kanban and then move to the "One Piece Flow". Second: Go to "One Piece Flow"
It helps to estabilish "pull system"
Remember that the final scope is to have the "one piece flow"! Here the video with the 8 rules! when you have a good Kanban System try to eliminate by moving to the "one piece flow". It is funny is not it ?! Finally, the Kanban is useful if you have to communicate between distant processes. If you eliminate the distance you do not need Kanban and you have the continuous flow. What is the Kanban System? Kanban is a signal to start an action. This action can be a material or product need. It could be even a visual sign for assistance or information request. What is important to underline is that the signal is always visual and with standard procedures. Here how AMAZON did a GREAT job in bringing KANBAN ELECTRONIC SYSTEM in the house. Everybody in the process have to clearly understand the signal. The procedures activated by a KANBAN have to be defined by people who work in the process. They are the only persons that know the process in detail. 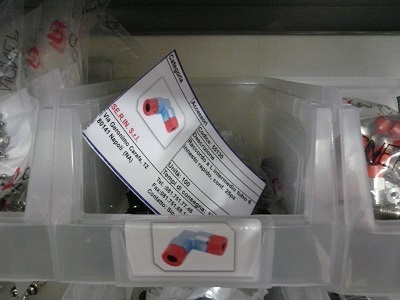 There are 3 bins (or boxes), every bin has its own "Kanban Tag"
with information written on that. When the bin in the POU is empty, that means that they need pieces, the empty bin is moved to the supermarket where it is exchanged with a full bin. Then the supermarket moves the empty bin to the warehouse where it is exchanged with a full bin. 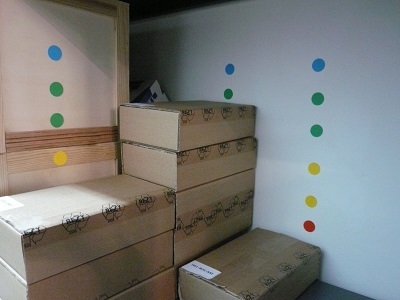 The warehouse now has to ask new pieces to the supplier and the cycle is closed. To implement and let the Kanban works properly you have to follow the 6 rules. Kanban System Explained in this powerpoint. See now.